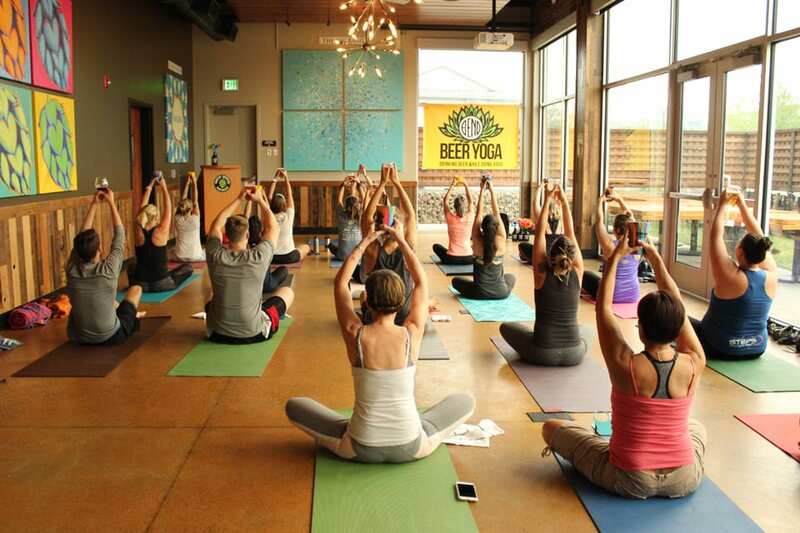 Has beer yoga made its way to your city, too? 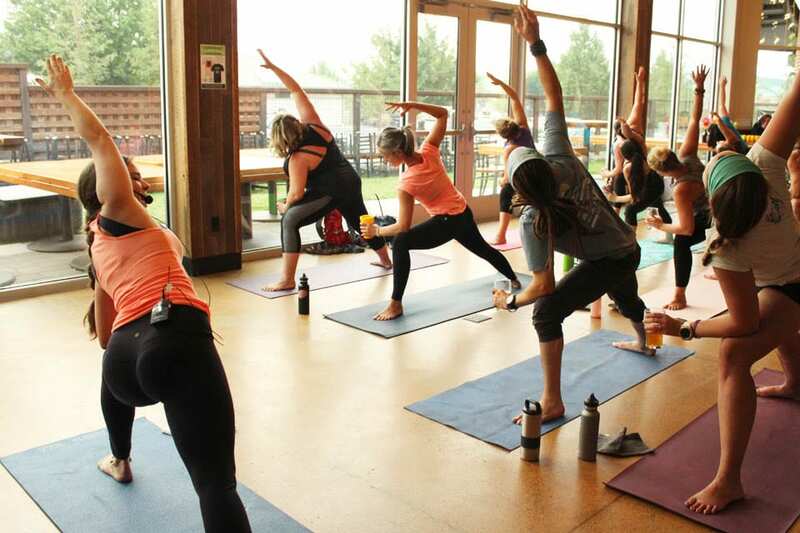 Beer yoga classes are popping up at local breweries and tasting rooms faster than we can say “namaste”. In the little big city of Portland, Ore. it was only a matter of time before people started combining their love of craft beer with their yoga practice. Read on to find out what actually happens during a beer yoga class. The yoga purists might not be happy about the union of beer and yoga but beer yoga is here to stay. It’s not traditional and that’s why it’s so damn approachable and dare I say “fun”. I’m an open-minded yoga instructor with the motto, “Don’t knock it until you try it,” so I took not one but multiple beer yoga classes and even taught one, just for kicks. And I loved it. Some beer yoga classes offer beer during class and others offer a social hour after class. No matter which style of class it is it will be a fun social event. It’s a great way to spice up your yoga practice or introduce your anti-yoga friend to yoga. 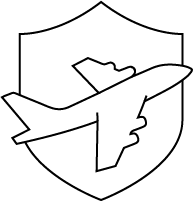 Classes are typically geared toward all levels and include a bunch of “feel good” yoga poses like low lunges, detoxifying twists and side body stretches. Beer yoga seems to be for the rebels, the social butterflies and the “I can’t do yoga because [insert reason here]” people. Many first-time beer yogis are coerced into class by yoga-loving friends with enticing descriptions of frosty pints, easy yoga and a not-too-serious practice. 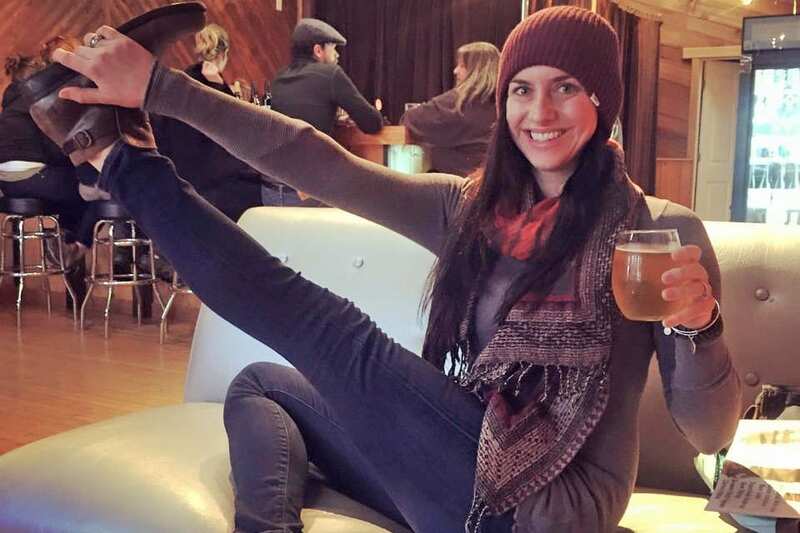 Cady Lindsey, the owner of Bend Beer Yoga in Bend, Ore., shared that, “the people coming to beer yoga are the people that want to do something fun without sitting around a bar.” And who doesn’t want to have fun and be at least kinda healthy? Maybe it isn’t surprising that beer yoga is a great place to meet people. Most people have no idea how social and amiable the classes are. The vibe at a beer yoga class is completely different than your local studio vibe. The vibe is fun, social and non-judgmental. Right after check-in it’s time to claim a spot and grab your beverage of choice. Instant friendships are made over bar-side chat that continues over to the mat. The anticipation and excitement that fills the room alone is intoxicating. One reason yogis love attending yoga classes is the sense of community that they get by being around like minded people. The inclusive vibe is even stronger at a beer yoga class. 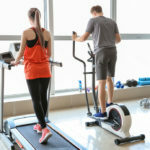 Before class is over you will be rubbing shoulders with your neighbor, high fiving the yoga instructor and cheersing both new and old friends alike. Beer yoga instructors are like magicians, seamlessly weaving dirty jokes with yoga philosophy and teaching yoga poses without missing a beat. Just don’t take a sip of your beer during the punchline! Your instructor might encourage you to have a sip of beer in your crescent lunge or to high five your neighbor after balancing in tree pose without toppling over. Corrie Coffey, an instructor for Bend Beer Yoga, loves to add the occasional ’80s hit to her yoga classes to encourage a spontaneous dance party. As Young MC says, “Just bust a move.” Yes, it is dorky. It’s also really fun. And what about that bliss? When your focus is on holding your beer out in front of you or over your head it invites a next level awareness into your yoga practice. 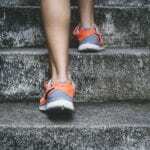 You become aware of your feet, your legs, your core, your shoulders and your gaze without the teacher even needing to guide you into the awareness. It’s a very sneaky exercise in presence, mindfulness and body awareness. After all of that movement and focus you’ll be ready to relax and surrender into the last pose of practice: savasana or corpse pose. You might just experience your best savasana ever! At the best beer yoga classes they actually give you a break in the middle of class and it’s brilliant. Bend Beer Yoga coined the term “Chill and Refill” for their half time break. Chill and Refill gives you just enough time to top up your beer, use the loo and take your obligatory beer yoga selfie. 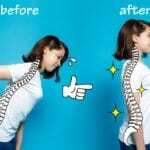 iPhones quickly swap hands as goofy yoga pics are taken. If everything goes as planned, no beers or yogis are harmed in the process. Mikki Trowbridge, beer yoga instructor and founder of Yoga + Beer, teaches all level vinyasa classes followed up with a happy hour or social hour after class. The social hour after class is the perfect opportunity to chat with friends, plan weekend adventures and network with other yogis in the community. There is no pressure to be a “perfect” yogi. The practice of beer yoga provides an opportunity to let go of our judgmental mind and our preconceived expectations of what a yoga class should look like. Beer yoga gives us the opportunity to re-learn how to go with the flow and make light of our mistakes. Lindsey has a similar take and loves watching people “break out of their shells and have fun.” Beer yoga is all about fun and community with a little bit of movement and mindfulness thrown in. As I rested in child’s pose during my third beer yoga class I couldn’t help, but think, “I only want to do beer yoga.” I had a private little chuckle as I realized that wouldn’t be reasonable. I also made sure to note the next beer yoga class on my calendar before I left. Would you try beer yoga? Comment below.